Rotary International, established in 1905, has been offering highly respected study abroad programs since 1958; called the Rotary Youth Exchange. Today there are between 8,000 and 9,000 student exchanges arranged each year. These international programs provide students from more than 100 countries the opportunity of a lifetime: opportunities to develop international friendships, broaden leadership skills, explore new worlds, learn new languages, and immerse themselves in different cultures. Our Club participates in the Rotary Youth Exchange Program every second year. At our next breakfast meeting, we will have the opportunity to hear the second part of a presentation from our Exchange Student, Hernando (aka Nando) on his home country of Columbia. 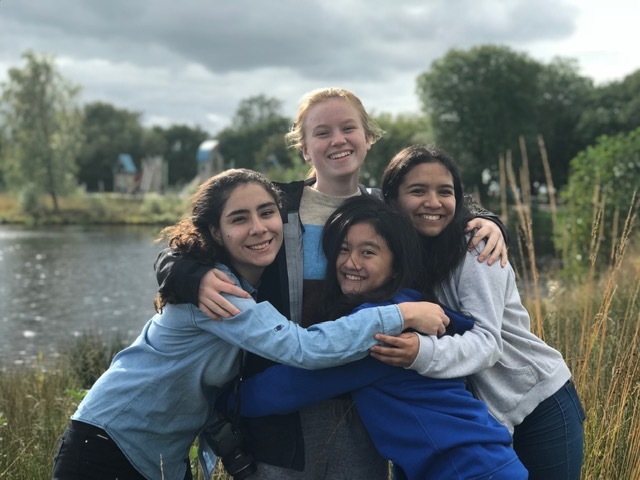 Meanwhile, our outbound exchange student, Rory Alport, who lives in Lake Country and attends George Elliot High School, is enjoying her exchange year in Denmark. Below is the first of what we hope will be several letters describing her experience. “I love my new home, they are a great host family and I’m going to be so sad to leave them when the time comes. I have had such great luck with my host families. I have been here for about 3 weeks now? I can’t even remember anymore. But I've settled in very nicely, I was tired for the first few weeks. They are really good at trying to teach me Danish. I have one host brother, he’s around my brothers age back home so it is nice to have a brother again. They have two older sons that are in their late 20’s, so I don't see them as often but I've met one of them so far. The other one lives in Stockholm, Sweden. Say hello to the club for me. Ask them if they have any questions for me or are wanting to know anything regarding me or Denmark, I’m happy to answer anything. Maybe In a few weeks at my four month marker I will write a nice long update for the club and you can read it to them for me! " A new speaker's schedule has been posted on our website, www.lakecountryrotary.ca, for the period leading up to Christmas. Check it out and consider inviting a friend to breakfast to see if Rotary is something that they might want to consider joining. Speaking of Christmas, our Club's Christmas Party will be held on Sunday, December 13, beginning at 5:30 p.m., at Holiday Park. There will be a catered meal, but please consider bringing an appetizer or dessert. Please let Judy know as soon as possible if you are coming and how many people you are bringing. And finally, please consider purchasing Rotary/Save-On Foods grocery cards as Christmas gifts for your family and friends. They are convenient to use and will provide needed funding to our local Food Bank, at no cost to you.